This is my daughter, Emily. She is my main model for my photos-(I am sure that you have seen her on this blog), a straight A IB student, editor-in-chief of her school yearbook, loves fashion, hair and make-up and texting with friends. She can't wait for prom this year so that she can shop for a dress. Isn't she pretty? She's a great kid with a good head on her shoulders. She has a wonderful, normal life...except for one thing. On June 13 of 2014 she was diagnosed with Type 1 Diabetes. From that day on she was insulin dependent. She has to poke her fingers to draw blood 6 to 10 times per day to check her blood sugar levels. She has to calculate carbohydrate grams for everything that she wants to eat AND she has to inject insulin for every thing that she eats with the exception of straight protein. Every M&M in the candy jar, every goldfish cracker, every piece of bread, every snack, every drink except water and every meal. She can never just pop a morsel of something in her mouth without thinking about T1D. She did not do this to herself by eating too much candy, drinking too much soda and gaining weight. She is a tiny 95 pound girl with a great figure. 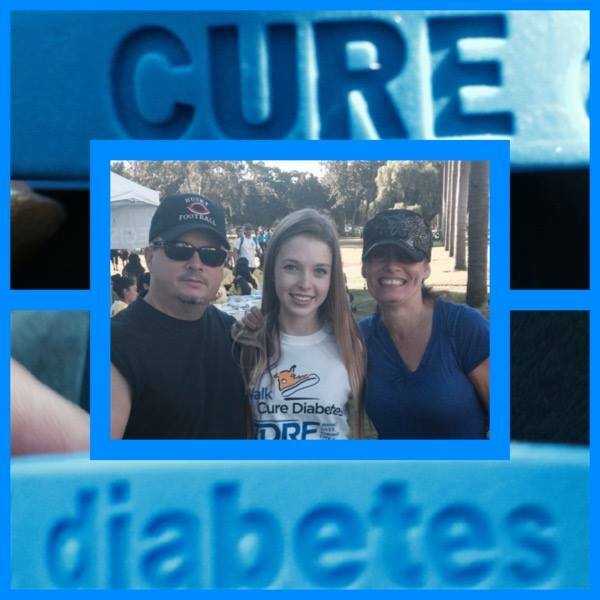 Type 1 Diabetes is an auto-immune disease and we don't know why she has it now. It just happened. She cannot exercise without checking her blood sugar and making sure that she has enough to burn. If friends ask her to walk to the coffee shop to study, she has to check her blood sugar before she goes. If it is too low she has to eat sugar before walking and then when she arrives, she has to check again. You see, a low blood sugar can result in a coma or even death. Type 1 Diabetics have to have sugar. Her body no longer produces insulin so when she eats sugar or anything that one's body turns into sugar, she has to inject insulin so that her body can process this. She cannot let her blood sugar get too high as that can land her in the hospital and it causes long term damage. She now worries about getting married and weather she will ever get to be a mother herself. She wanted to go to Germany this summer with the school GAP program, but she is afraid to try to calculate carb grams of foreign foods. If she makes a mistake it can be a really bad day. She worries about getting her first job and if her boss will understand her having to take sudden breaks to test blood sugar or having to pop candy in her mouth to keep her blood sugar up. Last month we completed her first walk for the cure. Her she is with her aunt and uncle. 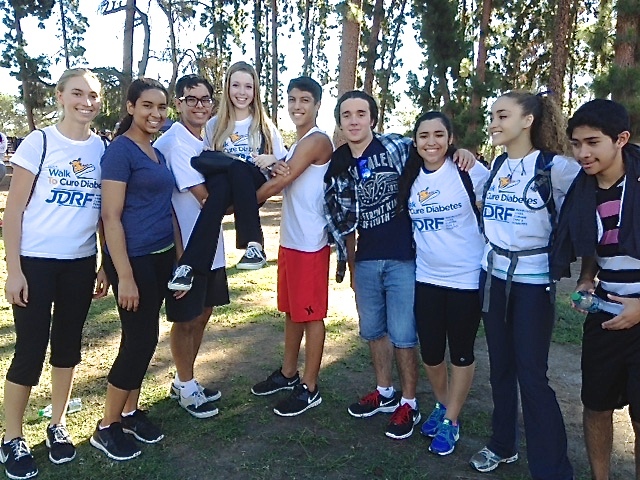 These supportive friends of hers, drove over an hour to walk with her and raised over $1600.00 for JDRF- research. All Emily wants for Christmas....is a cure. If you can help, please donate to JDRF. Emily would like her life back, the one where she could eat and exercise without needles, blood, insulin and worry.